Wow!! 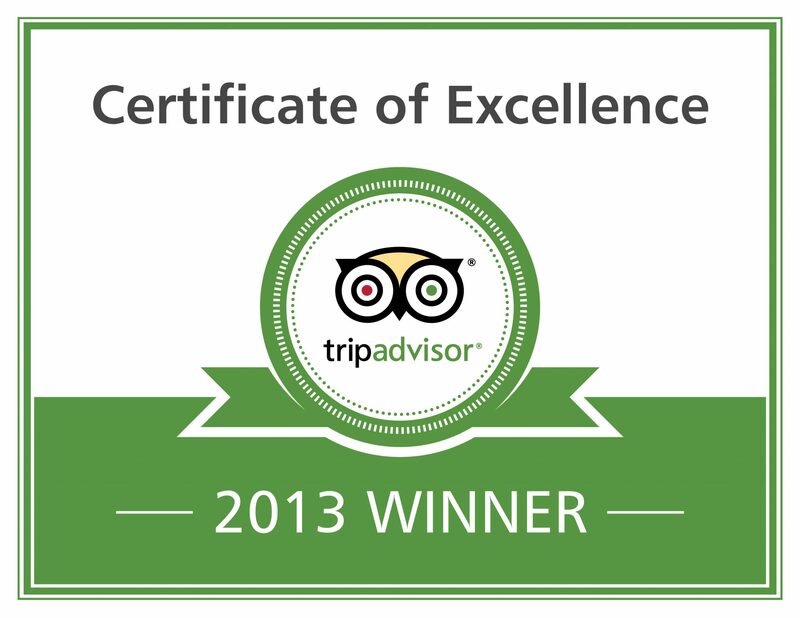 We received the 2013 Certificate of Excellence from TripAdvisor! This awards places us in the top-performing 10% of all businesses worldwide on TripAdvisor. Big thanks to everybody who reviewed us on Tripadvisor! As long as you travellers continue to enjoy what we’re doing, we promise we’ll keep doing it.